In addition to advocacy with the legislature, PHA advocates on behalf of our members with state agencies that impact our industry such as the Departments of Health, Aging, Human Services and State. Get involved! Members are encouraged to submit their own comments on proposed regulatory changes and may also take part in public hearings. Contact PHA Public Policy Director Janel Gleeson at [email protected] or 717-975-9448, ext. 26 to get started today! The Office of Developmental Programs (ODP) has undertaken a comprehensive revision of their home and community-based services provider regulations, including those that cover homecare agencies that serve consumers under the Consolidated or Person/Family-Directed Support waivers. Chapter 51 regulations currently contain provisions for the operation of those programs. The proposed changes would replace Chapter 51 with a new Chapter 6100. The biggest areas of change for ODP homecare providers are in incident management, staff training and criminal background checks. Click here to read a comparison of the changes related to incidents, training and criminal background checks. Click here to view the full proposed Chapter 6100. Hospice Regulations are currently being drafted by DOH, but are not yet available for public comment. 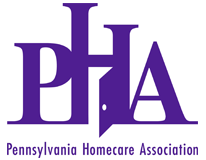 PHA is included in drafting discussions and has urged the department to mirror the Medicare regulations as much as possible to ease the compliance burden on our members.